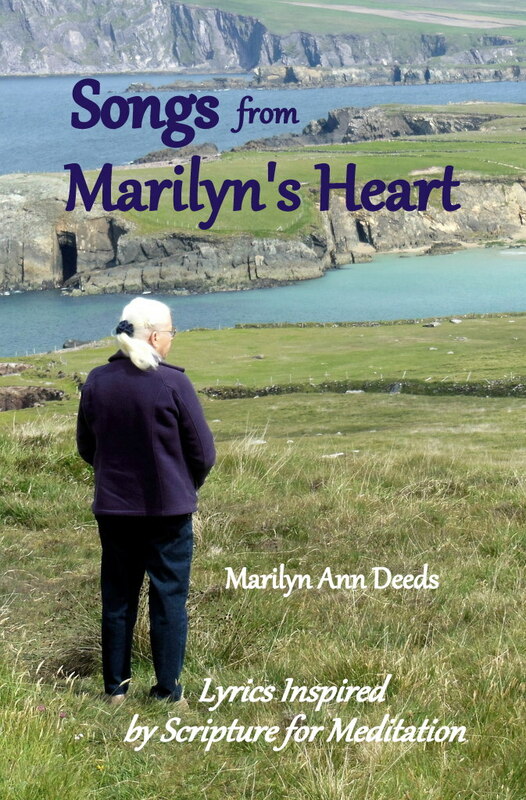 We have just published a book of Marilyn's inspirational lyrics. We call ourselves "The Good Deeds". the Good News through our Bluegrass Gospel music. A new life began for Marilyn and Gary Deeds in 1990 when they retired. They find their lives so full now, they wonder how they had time to work! People often ask us how we got started in our music ministry. It was an outgrowth of our experiences with bluegrass music. Why we got started in bluegrass music is still a mystery to us! We don't know what prompted us to attend our first bluegrass festival, but we were immediately attracted to this spirit-filled music. Attending bluegrass festivals and jams sparked our desire to play bluegrass music. At first Marilyn and our twin boys started playing bluegrass music together. Gary had never played an instrument in his life, but not wanting to be left out he figured he needed to get involved. Since the "family band" didn't have a bass, that was Gary's chosen instrument. We played together as a family at bluegrass jams and festivals. As we were drawn into the music we found ourselves playing more and more "gospel bluegrass". Then it happened! 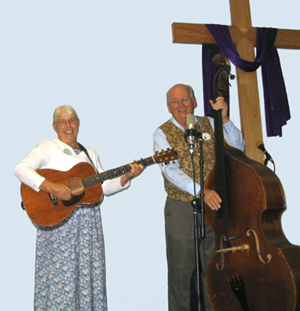 In 2002 God called us to share our gospel bluegrass music. We were not sure at first if this was a true calling, but soon we began to receive confirmations. * Friends, bands and festival promoters gave us words of encouragement to get out and share our music. * People commented on Marilyn's beautiful voice. Imagine, being so far from home and having someone tell us about a conference near us, attending it and hearing the message that we needed to hear? * Another confirmation: One of Marilyn's bridesmaids from over 40 years ago started emailing us and wanted to know if she could send us a copy of The Purpose Driven Life. At the time we had not heard of the book. Upon reading it our desire to follow God's purpose for our life was reinforced. * Probably the most amazing confirmation was when Marilyn started receiving songs. She would wake up in the middle of the night or early morning hours with melodies and lyrics running through her mind. Marilyn had never written poetry or songs in her life. These songs came to her totally complete. At first she dismissed this as merely a dream, but the songs kept coming. So she began writing them down. She really believes they are a gift from God. Over a three year period she has received over 150 songs! Before stepping out into the music ministry we were busy raising five children, serving in the United States Marine Corps, starting several business, teaching elementary school, painting in watercolors, sailing on San Francisco Bay, converting a Greyhound bus into a motor home and building a house. As you can see, we have done a variety of things, but we are finding that our retirement years are some of the most fulfilling. To be serving God through our music ministry is so rewarding. We share our music at churches, retirement homes, assisted living facilities, skilled nursing facilities, gospel jamborees, bluegrass festivals, campgrounds and community centers. Our beliefs are the foundation of our lives. Marilyn and Gary find such power, solace and fulfillment following God's will for their lives. Their satisfying music ministry, the many blessings they receive every day and the victory they find in Jesus Christ testify to their beliefs. * Jesus Christ is the Son of God born of the Virgin Mary and He is our personal Savior. * He was crucified and in three days He was raised from the dead. He lives. * He bore our sins on the cross so that we are blameless in the eyes of God. * God the Father, Jesus the Son and the Holy Spirit are the Holy Triune God. * The Holy Bible is the inspired Word of God. * We are saved through our faith in Jesus Christ and not by our works. * We have eternal life with Jesus Christ. These gifts are available to anyone who seeks and believes.